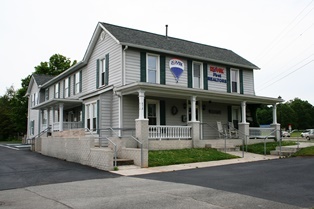 A division of RE/MAX First at College Square, is a property management group devoted to the rental and management of homes and apartments in the Blount county area. It is our aim to minimize vacancies and maximize the quality of your tenants. When we are contacted by a property owner regarding their property a licensed real estate agent will meet with the property owner at the property. The agent will take a detailed description of the property and complete a visual inspection regarding the condition of the property inside and out. Based on market conditions, comparable rental properties and other factors, the agent will determine the best rate the property will rent for and make a recommendation to the property owner. The agent will then discuss the property management services we offer. 1) We find and qualify a tenant. The property owner will manage the property. 2) We find and qualify a tenant. We manage the property. Once you choose your property management type and complete the necessary paperwork, we begin working to find a qualified tenant. 1) Targeted advertising will be placed in the newspaper and on internet websites. 2) Comprehensive application will be taken from potential tenant. 4) Results of the Applicant checks will be presented to the owner for their approval, either in person or verbally. 5) After an applicant has been approved, a lease will be drawn up. The property owner approves the lease prior to the tenant signing. 6) First months rent and security deposits will be collected by the agent and then forwarded to the owner minus the professinal fee. 7) Copies of all signed leases and disclosures are sent to the property owner. 1) Rent will be collected monthly and disbursed on a timely basis . Full time Bookkeeper with 10 years property management experience. 2) Property manager will take ALL tenant calls, complaints and questions seven days a week. 3) Any necessary and or emergency repairs will be taken care of by the property manager who will contact the proper repair company. Property owner may set minimum repair cost limit without prior authorization. 5) Inspections will be done on a timely basis and reports sent to the property owner. 6) If requested, collected rent will be direct deposited into the owner''s bank account if it is local. 1) If we rent and you manage the property, the fee is one full month''s rent. 2) If we rent and we manage the property, the fee is 100% of a full month''s rent for the first month then 10% of the rent collected for each month thereafter. This is a quick overview. We will be happy to answer any questions you may have regarding our rental program. Please call any of our rental agents at (865) 981-1004.or Toll Free at (888) 280-7077.